David is the founder and editor of Freelancer Insights. A Veterinary Surgeon, Instructional Designer, Tech-wiz and a Master FIFA Gamer. I’m sure you’ve had a client tell you post-transcribing their audio that they need timestamps or timecodes added to their transcript. Timestamping a transcript is a tiresome process that sometimes needs one to keep pressing on hotkeys every other timestamp interval. It is exhausting. The number of jobs posted on Upwork by clients on a daily basis is alot. This however does not reflect the ease of landing a job especially if you are a newbie (new freelancer). This is because a newbie has no Upwork job history or feedback. Other than not knowing how to build a compelling a profile and crafting a converting cover letter, newbies have problems landing jobs because they are unaware of the types of freelance jobs to look out for. The past one month has been crazy on Upwork. Yes, Crazy! Why? Upwork has been suspending freelancing accounts from the U.S. to India, Ukraine to Kenya; this is happening worldwide and not limited to any demographic region. Read moreWhy is Upwork Suspending Freelancer Accounts? Why does Upwork reject my profile immediately after submission? Read moreWhy does Upwork reject my profile immediately after submission? Get the Insights and Solutions you need. “How do I get long-term clients on Upwork ?” Yes! Finally, someone asked me. The one question that rocks my inbox all the time is this and for all times sake, I need to dissect this topic on some of the easy ways I have resorted to getting long-term clients on Upwork. P.S. I have Upwork clients from back in the day, 2012 to be precise, and they do pay me well. The nature of freelance work is for freelancers to do quick jobs that are not secure and long term as being in a formal employment where you know you will have a salary at the end of the month. Ever wanted to automatically transcribe your audio files and save time doing this especially with crystal clear audio files with an awesome English accent. 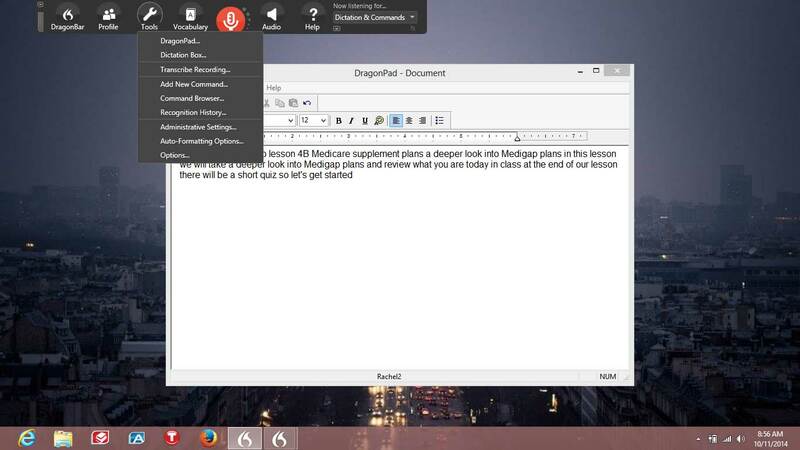 I introduce to you Dragon Naturally Speaking 13, Dragon is a dictation software and not a transcription software.